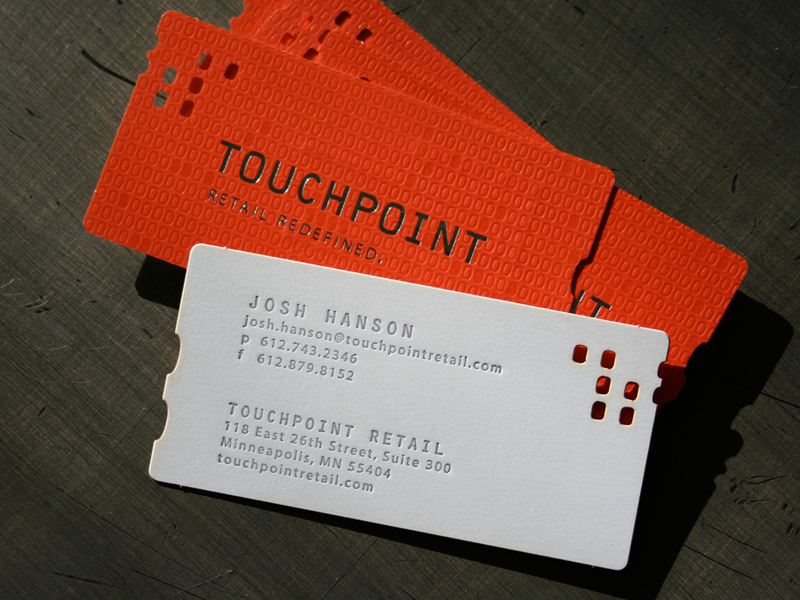 These extra fine business cards were designed by Merge Creative and Touchpoint. Once in hand they require a good touching and groping session. They wanted a card with an OMG factor and this is certainly one of the most elaborate cards we've put together. The paper stock has a surprising skin-like feel. It is from the Appleton Coated Curious Collection. We custom duplexed the card from two colors. The black side is Skin Black 141lb Cover. That is pasted to Skin White 141lb Cover for a total thickness of 280lb Cover. With that kind of heavy, this card definitely has a thump factor. Production went something like this... The black stock is hot foil stamped in a clear gloss foil and a mirror finish metallic silver. The white stock is letterpress printed in metallic silver ink. Then the black and white sheets are pasted together in register into a heavy duplex sheet. Those sheets are covered with a protective mask on both sides. The masked sheets are laser cut into the custom shaped business cards and the protective mask is removed. 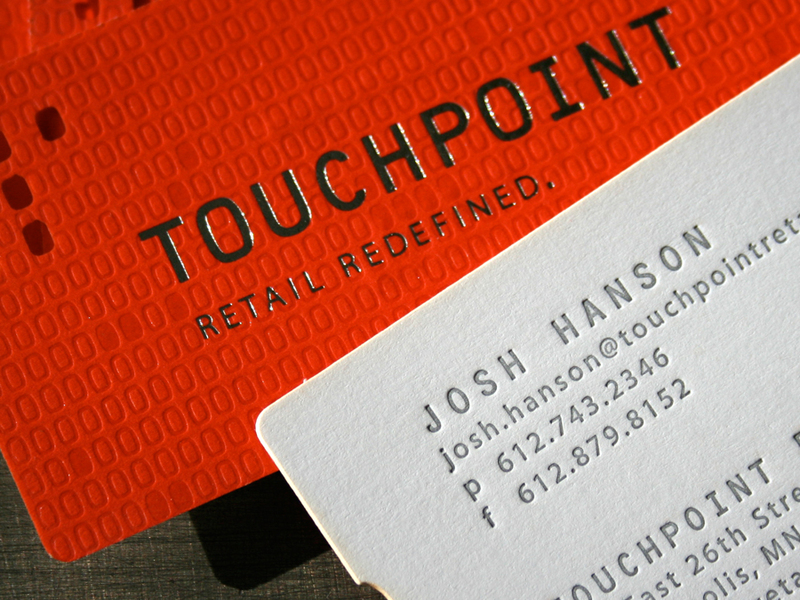 This was an update to the look and feel of the orange Touchpoint business cards printed over a year ago. Those were on Neenah Classic Crest Solar White 165lb. The production of them was elaborate as well. Those cards were offset printed with and orange solid, foil stamped in clear and metallic silver, letterpress printed in silver, masked and laser cut to final size.